SEATTLE —Regence BlueShield in Washington announced today that it has been awarded Full Health Plan Accreditation and Case Management Accreditation for its commercial line of business from URAC, a Washington, DC-based health care accrediting organization that establishes quality standards for the health care industry. This is the second time that Regence sought, and received, both Health Plan and Case Management Accreditation from URAC. 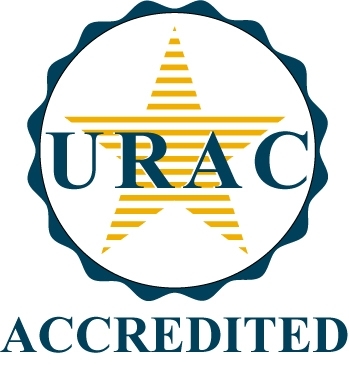 URAC accreditation is a nationally recognized symbol of excellence, respected throughout the industry and by the federal and state governments as an assurance that accredited organizations meet rigorous standards of quality and operational integrity that emphasize consumer protection and patient engagement. To achieve URAC’s health plan accreditation, Regence was required to establish goals and measure performance related to access to care, availability of providers and provider selection criteria. Regence also had to address approaches to ensuring appropriate patient protections have been established, such as policies for confidentiality of patient information, informed consent, dispute resolution and other issues. These standards cover staff structure and qualifications, quality improvement, information management, oversight of delegated functions, ethics, complaints, and the case management process. URAC, an independent, nonprofit organization, is a leader in promoting health care quality through accreditation and certification programs. URAC’s standards keep pace with the rapid changes in the health care system, and provide a mark of distinction for health care organizations to demonstrate their commitment to quality and accountability. Through its broad-based governance structure and an inclusive standards development process, URAC ensures that all stakeholders are represented in setting meaningful standards for the health care industry. For more information, visit www.urac.org. Regence BlueShield is a leading health plan in Washington with almost a million members, offering health, life and dental insurance. Regence is the largest health insurer in the Northwest / Intermountain Region, serving more than two million members as Regence BlueShield (selected counties in Washington), Regence BlueShield of Idaho, Regence BlueCross BlueShield of Oregon and Regence BlueCross BlueShield of Utah. Each plan is a nonprofit independent licensee of the Blue Cross and Blue Shield Association. Regence is committed to improving the health of our members and our communities, and to transforming our health care system. For more information, please visit www.regence.com or www.twitter.com/RegenceWA.